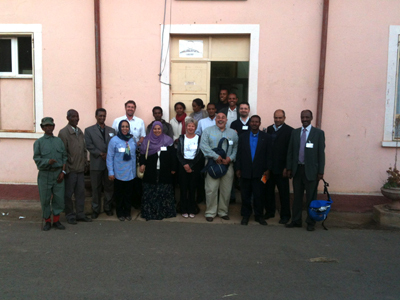 On December the 6th and the 7th, 2011 the final workshop of the OIE Twinning project on Brucellosis was held in Asmara, Eritrea. 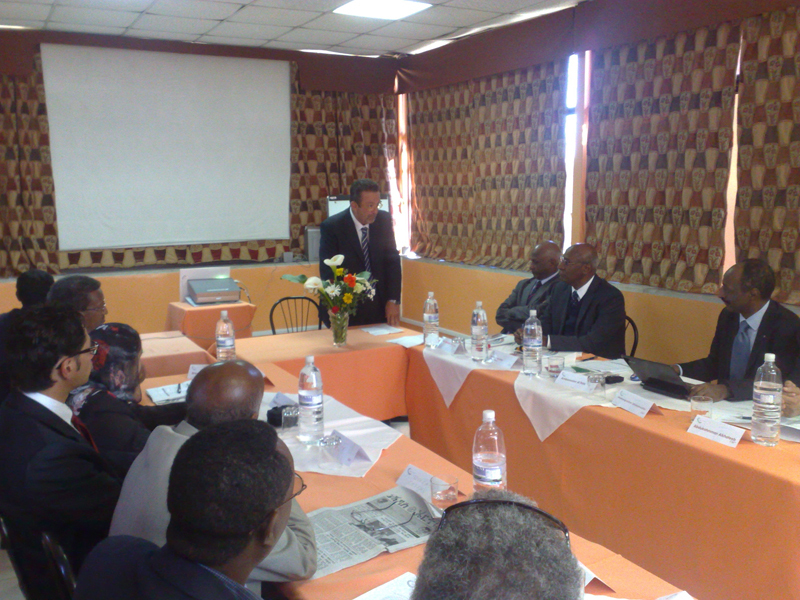 The event was attended by Dr. Enaam M. El Sanousi (Sudan), Dr. Abdulrahmman Alkhateeb (Yemen), Dr. Naglaa Radwan Ahmed Hassan (Egypt), Dr. Efrem Ghebremeskal, Acting Director of the National Animal and Plant Health Laboratory (NAPHL) of Asmara, Dr. Ghebreigzabiher Ghebremedhin of the Italian Ministry of Health, Dr. Judy Stack, head of the OIE Reference Laboratory for Brucellosis of the Animal Health and Veterinary Laboratories Agency (United Kingdom), Dr. Massimo Scacchia, head of the OIE Reference Laboratory for Brucellosis of the G. Caporale Institute of Teramo (ICT) and Dr. Gianluca Orsini (ICT). On December the 6th the Director of the National Animal and Plant Health Laboratory of Asmara, Dr. Efrem Ghebremeskal, presented the Laboratory's activities during a visit to its quarters. On the 7th, the final meeting was held at the Crystal Hotel, with the further participation of the Eritrean Minister of Agriculture, Arefaine Berhe; the Italian ambassador in Asmara, Marcello Fondi; and the Director of the General Regulatory Services Department, Tekleab Misghina. 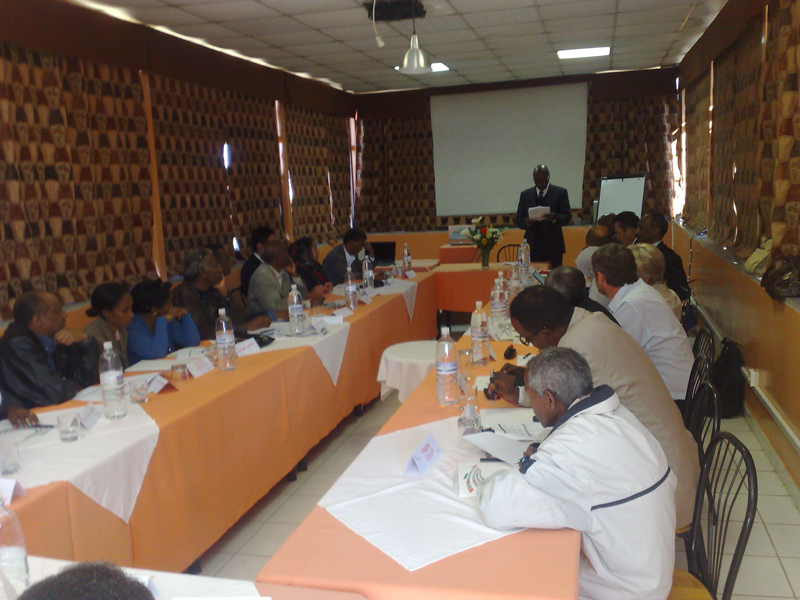 Overall there were 28 participants, including 6 NAPHL technicians involved in the twinning project, veterinarians from the six regions (Zoba) and Asmara ministerial offices. The entire day was dedicated to presentations regarding national laboratories and the Brucellosis situation amongst the various participating countries. The final discussion and resolutions engaged participants until the late afternoon. Guest countries recognised the high levels achieved by the NAPHL thanks to the twinning with the ICT, which will allow the Eritrean Laboratory to assume the role of Centre of Excellence for the diagnosis of Brucellosis within the Red Sea area.